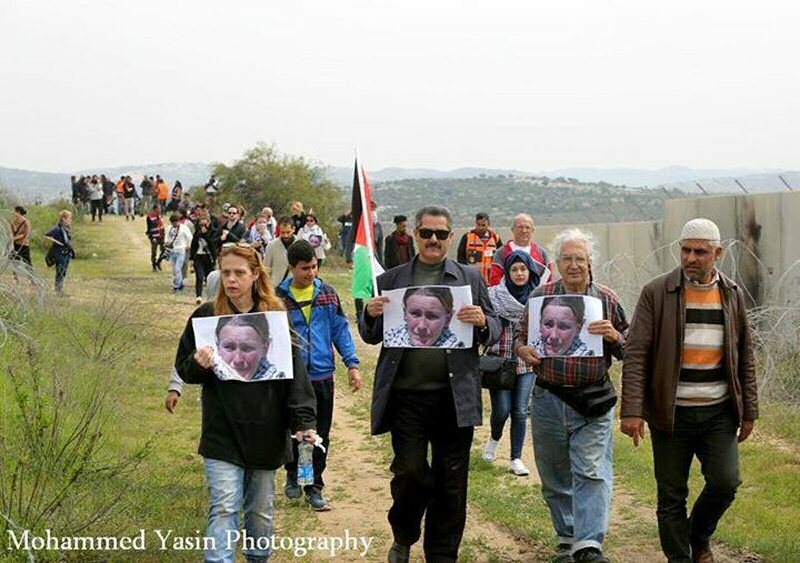 Rachel Corrie served with ISM — International Solidarity Movement — in Gaza, in 2003, where she was crushed by an Israeli military bulldozer while protecting the home of a Palestinian doctor. She was 23 years old. Today is the 15th anniversary of her death. Rachel’s death was tragic and brought the world’s attention to the suffering ad deaths of the thousands of Palestinians. Please don’t think that the situation in the West Bank and Gaza are any different today. The ethnic cleansing of Palestine continues every day. We should not allow this to become normalized in our thinking. Palestine may not be the leading news story in Western media but random ID checks, body searches, delays, restrictions of movement, detentions, arrests, collective punishment, destruction of property including olive trees and agricultural crops, theft, home invasions, deprivations of infrastructure, bureaucratic and economic occupation, the siege of Gaza and aggressive military attacks continue constantly. The challenge Rachel has brought to all our lives is to get out of our comfort zones and act on our convictions.